The problem is, there is a rule in the NFL that players must stand, must be on the sideline. I’ve got the rule right here. You have to be there. But rules are shmules, right? There aren’t too many rules that are enforced these days. 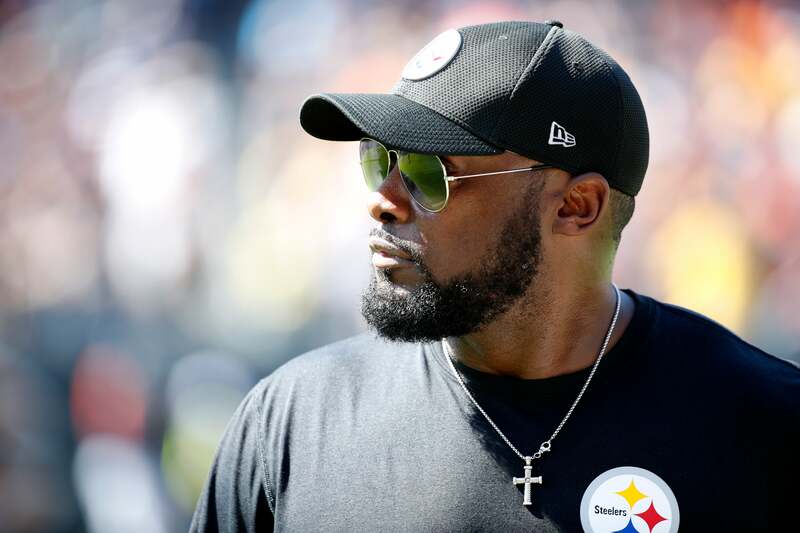 The comment that Tomlin made that just made me curious was “protect.” “I want to protect the players from having to make a choice.” Well, making a choice is what they’ve been doing. What he wanted to do was protect the Steelers organization from being part of this. That’s admirable. I mean, he sees what’s going on; he sees it’s a distraction. Do you know that the Seattle Sea…? The Seattle Seahawks were in Nashville to play the Tennessee Titans. Now, because they’re on the Left Coast, they travel on Friday. The Raiders traveled on Friday to Washington to play the Redskins on Sunday night. Normally the NFL travels the day before, but Left Coast teams going to the Eastern Time zone go a day early. They go on Friday to try to get acclimated because the game on Sunday. If it’s a 1 o’clock game, it’s 10 a.m. body clock time, and that’s the game the Seahawks played. They had a 4-1/2 hour meeting Saturday to discuss what to do in the pregame — a 4-1/2 team meeting to discuss how to link arms or whether to link arms or who’s gonna kneel. In addition to whatever meetings they had about the game and strategy and all of that. When I saw that, that’s what I think Mike Tomlin is trying to keep his team from getting involved in. But the plan went awry because there actually is an Army Ranger that plays for the Pittsburgh Steelers, and he is a very important member of the team. None of this is intended to diss the military, none of this is intended to show disrespect for any of the people who wear the uniform or have worn the uniform. There’s a guy who wore the uniform and he went out alone, and Coach Tomlin said, “I was shooting for a hundred percent participation. Stay in the locker room during the pregame.” But Villanueva decided to go out because that’s just what you do, and he stood there — alone and solitary — with his hand over his heart with the rest of the Steelers in the locker room. I didn’t see any of this ’til after the day’s action was completed, and I saw a still photo of it. I didn’t watch any highlights of it last night. I haven’t seen a single play that happened yesterday in the NFL. And I’m not urging people to… It’s not a boycott. I just didn’t feel it. As I said, the thrill’s gone. The sadness was overwhelming. Let’s get to some what other people think here about the take. I mentioned Rich Lowry, who is the editor of National Review, a Never Trumper. By the way, when we the get off of this and on to other things, there is a fascinating piece here by a guy I am quoting more and more often, Kurt Schlichter. It’s S-C-H-L-I-C-H-T-E-R, however he pronounces it. I’ve seen that pronounced don’t know how many different ways. “Conservative, Inc., Is Being Replaced By Us Militant Normals.” This is one of the most provocative and in-depth analysis of what has happened to the conservative movement that I have seen yet. And we’ll get into that as the program unfolds. But Rich Lowry was an original Never Trumper and he runs a magazine that remains Never Trump: National Review. He posted, I guess, over the weekend. I don’t have an exact date. “Why Donald Trump Is President — Regarding Trump’s fire-the-NFL-protesters line last night … it is a classic example of Trump’s, at times, gut-level political savvy. This kind of thing is why he’s president.” Do you realize what an admission that is? That’s an admission. Guess where most of voting America is? It’s with Donald Trump on this issue. You know, the NFL, I actually think, is the useful idiots in the political battle that’s being waged with it, to it and against it. And I don’t know if they understand what’s happening, just like Hillary still doesn’t know what happened to her. I don’t know that the NFL understands what’s happening to it. I really don’t think they do. They couldn’t be blamed, really. I mean, look at a few short years ago. They owned everything. Monster TV ratings, monster cash flow, monster revenue generation, monster popularity. When it starts to fade away, the first thing that happened to you if not careful is denial: “It’s temporary. We’ll get it back. It’s the hurricanes. It was the election.” But the numbers keep sliding. It wasn’t the hurricane. It wasn’t just the election. It’s something more basic. “Of course, NFL owners firing players on the spot for protesting isn’t necessarily common sense, but this is where ‘seriously, not literally’ comes in” with Trump. “Since everyone knows that owners aren’t going to” fire the SOBs… By the way, Trump didn’t call all of them SOBs, if that matters to you. “Trump’s statement registers for his supporters merely as forceful opposition to the protests, not as a specific plan of action.” Bingo. Bingo. Trump supporters to this day are not understood. They are still impugned and mocked and laughed at. But they have grown tired of a country they love as being under assault as unjust or immoral or illegitimate. They’re fed up with it. Their president defends it, defends them. The specifics don’t matter. There is finally somebody speaking up for America. “But, Rush! But, Rush! The protesters are speaking up for America.” They may think so, but they’re not, in the eyes of most NFL fans. They’re not speaking up for America. This is not complicated, either. Rich Lowry, National Review: you don’t know what an admission, realization this is. This is essentially, I mean, why Donald Trump is president. Donald Trump instinctively knows where the heart of America is. The National Football League all these years has thought that it knew because of its robust popularity and money. But it turns out it didn’t, and doesn’t. Here’s another theory that was sent to me. My old buddy Seton Motley said: “The left’s idea to play up the NFL protests knowing it would further the left’s effort to kill the NFL by bringing the right against it is brilliant strategy, and the political neophyte NFL is the useful idiot in its own impending demise.” What he means by this, start out with the basic premise that the left is trying to end the NFL. Some people think that. I’m not sure it goes that far. I think what the left sees is a giant cash cow, much like the Monochrome Coalition would shake down corporations, threaten boycotts unless they donated to the causes that the Reverend Jackson found near and dear, which would be those causes close to him. I don’t think they want to wipe out the NFL, although some may. I mean, some of the extremists do because it’s dangerous, it’s barbaric, but it’s American. It’s quintessentially American, it’s patriotic. These are the things that the left — don’t argue with me, folks. You can’t argue. These are the things the left is trying to destroy. The heart and soul of America. It’s imperfect. Barack Obama: We want to transform the United States into something that it should have been but isn’t, whatever the words were. So Seton here believes that the left’s plan is backfiring — well, actually, it isn’t that. What’s happening is, the left’s success in damaging or destroying the NFL is working to a T because what’s it doing? It’s driving the fan base away. The fastest thing you could do to hurt the NFL is drive the fan base away, and the people on the left who want to destroy the NFL or really damage it, by encouraging these protests — and don’t think the left is not involved. This is not player generated, player started. There are all kinds of activists behind this. And if their objective is to wound and weaken, diminish the NFL, the fastest away to do it is to encourage behavior that’s gonna drive the fan base away. So Seton’s theory is, it’s working like a charm, and the NFL, clueless, is joining the side of the people trying to ruin it, which it is, if that theory holds. 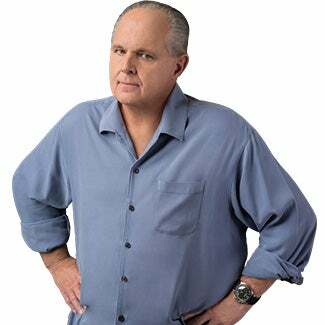 “It’s anecdotal, Rush. You can’t say it’s –” I’m not saying it’s scientific. I’m just giving you the take here, individual. Here’s the next part of the theory. The left is now out saying that if you don’t take the knee, you’re for Trump. You think that pressure’s being brought to bear on players in the locker room? You don’t? You don’t think there’s people, “If you don’t take the knee, you may as well be for Trump”? You don’t think there’s people being forced to take the knee, otherwise they’re for Trump? So we’re left with the NFL having several options. They can stop playing the anthem — and, by the way, that’s being suggested, and not yesterday for the first time. The first time it was suggested I predicted it. This would be defining deviancy down. The problem is the anthem, you see, not behavior, the problem’s the anthem, so get rid of the anthem. People are suggesting that. If that happens, you think Trump can’t make hay out of it? The NFL has decided to ban the National Anthem. Can you imagine Trump’s tweets after that? Second, they could make the players stand, they could enforce, “You’re gonna stand, you’re gonna respect the flag.” Can you imagine Trump with that? Third, they could just shut the whole thing down, make a lot of people mad. The point is, he doesn’t see any way the left can win this fight in the long haul against Trump. If the NFL was smart, it would tell the players to stand respectfully and let ’em put something on their clothes, a decal on the jersey or on the helmet in protest to whatever. Even that would be running a risk, but that’ll never happen anyway. The NFL cannot, will not ever try to stop this kind of behavior. All of that is true too. That is a great paragraph.